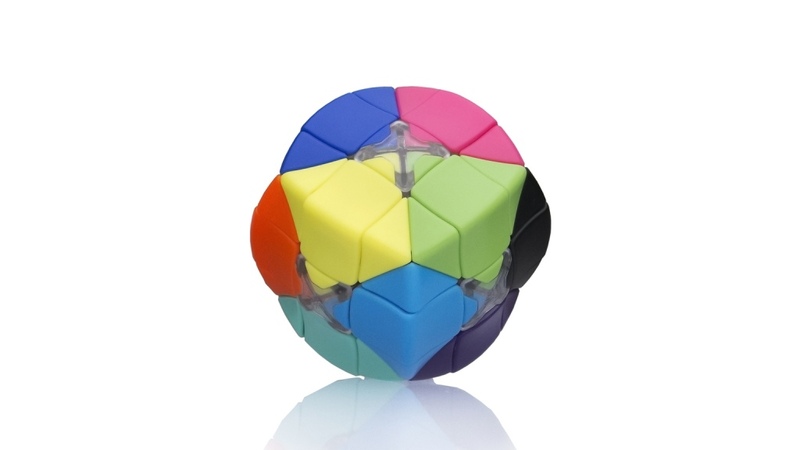 Armadillo Cube is a 3D spatial puzzle with not 6, but 12 colors! Additionally the position and orientation of the color keyed center pieces leads to only one, very tricky resolve. If the resolve is hard to find and you want to start over, the pieces of Armadillo Cube are easy to take off and stick back.